Exotic Pets for Kids: Yes or No? 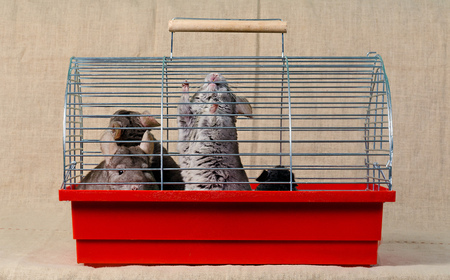 Unlike commonly domesticated pets, exotic animals like chinchillas retain their wild nature. Exotic pets such as chinchillas, spider monkeys, and ferrets require more attention, more expensive cages or habitats, and specialized vet care. And just try to find a sitter for one of these exotic animals when you go on vacation. Figure on spending upwards of an hour each day on care and feeding for exotic pets - not a realistic possibility for most little ones. Some of these exotic animals are known to carry or contract diseases that can affect their owners, such as salmonellosis and rabies. Most major veterinary medical associations discourage the price ownership of certain exotic animals because providing environmental conditions, housing, and diet for an exotic animal can be difficult and/or expensive. And, unlike commonly domesticated pets, exotic animals retain their wild nature. Even if they are bred as pets and raised by humans, they can be unpredictable, relatively resistant to training, and in some cases - especially as full-grown adults - they can be dangerous. Large birds often see children as something below them in the pecking order. This is not good. Now, if you would like an exotic bird for yourself, that’s one thing. But don’t get one just for your child. Parrots and cockatoos make cool conversation pieces. They are fun, comical, and easy to train to do tricks. They are very social birds that bond readily with people. But they are also loud; in fact, they screech. They are messy and destructive. And if you ignore or neglect them, they become self-destructive and pick out their feathers. And they live 70 to 80 years. Just think of signing on for a two-year-old who will never grow up. Ever. If you’re considering any of the above wild animals as pets, you’ll have to search another Web site. You’re braver than me. Next steps? Consider getting the kids a pet they can care for themselves with little or no assistance. Be sure to consider these Pet Pros and Cons before you bring a pet home to make sure your home and your family's lifestyle are compatible with whichever pet you choose. You'll be very glad you did. Get the e-book on all things kids and pets now!